TOM and the TEN’ERS — TradeNet President Tom Mertz has nothing but the best to say about 10-year employees Kathleen Kincaid, Michelle Beaver and Jan Bentley. The years may come and go, but when good employees have been around for a decade, it’s considered both an accomplishment and a company asset. TradeNet employees gathered in the cafeteria to offer their applause (and whistles) as each of the three received a to get their share of the cake and punch. Then… Surprise!… Everyone was back to work. 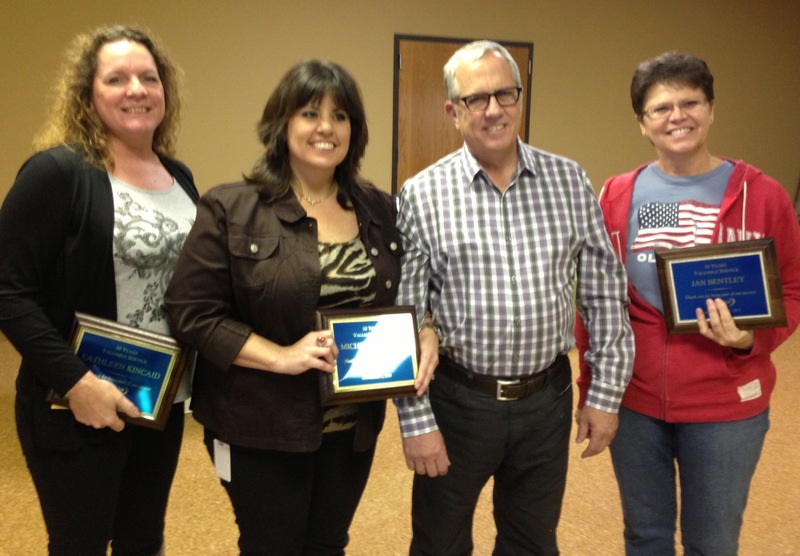 Thanks, Kathleen, Michelle and Jan for your service to TradeNet. Your ongoing good work is greatly appreciated.